Scawby is very much a self-contained village with a village store and newsagent, fish shop, post office, garage and hairdresser. The Sutton Arms is popular with both local people and visitors and provides quality meals. Seasonal produce, vegetables, plants etc can be purchased from Scawby Hall. The Village School is recognised as one of the finest in North Lincolnshire and there is an excellent pre-school organisation, Stepping Stones, which has its own premises next to the school. Further education is available at first-class establishments in Brigg and Scunthorpe. The Village Hall is a well-established facility and many local groups use it on a regular basis. It is kept to a very high standard making it suitable for wedding receptions and christenings; it has its own large car park. St Hybald's Church is situated at the heart of the community it has its own choir and produces the monthly Parish Magazine. The Methodist Chapel is also centrally situated and a Roman Catholic Church can be found in the nearby town of Brigg. Farming and forestry have always been a major part of life in Scawby and that is still the case today although, these days, it is not so labour intensive. Agricultural equipment can be seen passing through the village most days of the week. The parish includes Greetwell to the west together with Scawby Brook, which has its own excellent public house, to the east. One of the great advantages of living here is the direct access to the M180, bringing Hull, Lincoln, Sheffield, Grimsby, Leeds and Doncaster well inside an hour's drive and Scunthorpe is only just down the road. There are also plenty of local places with so much to offer, the Lincolnshire Wolds and the Viking Way for walkers together with the east coast resorts. Close by is Normanby Park, the Humber Bridge and the Nature Reserve at Barton-upon-Humber and in springtime the rhododendrons are a spectacular sight in Twigmoor Woods. 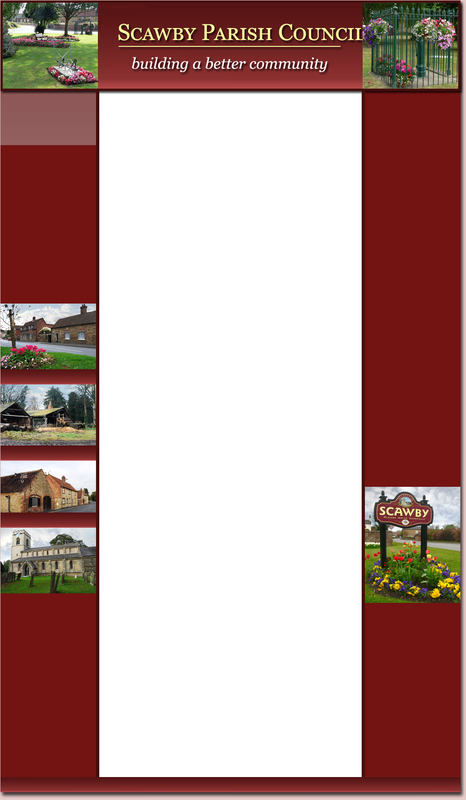 There are plenty of organisations in Scawby including a thriving over 60's Club, Scawby Agricultural and Horticultural Society. Bowls, Football, Whist, Keep-Fit, St Hybald's Ladies Guild, an Art Group, U3A and New Age Kurling. Scawby is a pretty village and a lot of thought goes into the flowerbeds, they are beautiful throughout the year. In springtime tulips, daffodils, primroses and pansies make a spectacular display, followed by geraniums, busy lizzies, marigolds and begonias in the summer. Scawby has won the "Best Kept Village" competition many times over the years and the shields and certificates are proudly displayed at the village hall. An annual competition for the "Most Attractive Front Garden" run by the Parish Council encourages everyone to keep their front gardens neat and tidy.